Cabinet should not be a one-way street. More fluid leadership networks are needed in the new economy. There's the old economy, business-as-usual way of looking at the move of Mr Tan Chuan-Jin from Cabinet to that of Speaker of Parliament. And then there's the disruption-friendly, start-up way. First, the old, hierarchical way of analysis. This says that Mr Tan, 48, has been given a demotion. From being a full Cabinet minister in the Ministry of Social and Family Development (MSF), with hundreds of staff, important policies to make, and reportedly an annual seven-figure salary, he is being put up for the role of Speaker, with sway over a tiny staff, and salary reportedly in the mid-six figures. His main decisions won't be on governing Singapore, but within a narrow ambit of overseeing the Parliament staff, and presiding over debates in the House. He will also lead Singapore's delegation in international parliamentary gatherings. Still, by the matrix of power and money - the two most common indicators of success in life - there is no doubt that moving from Minister to Speaker is a step down. 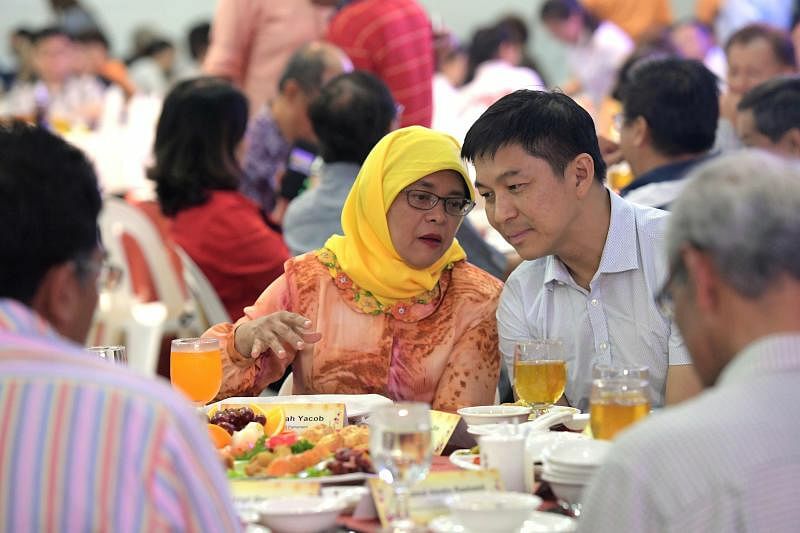 Prime Minister Lee Hsien Loong had said that he would nominate Mr Tan for the role of Speaker, which is vacant after Madam Halimah Yacob resigned to contest the presidential election. Online and off, chatter exploded over this unexpected move, as past Speakers were usually backbench MPs, not ministers unless they were near retirement. Mr Tan is 48. Many see this as a demotion. But there's another way of looking at the move, from the lens of a society in the throes of disruption. As digital transformations turn old industries upside down and threaten most of our jobs, surely our politics too must change, and our assumptions alongside. So here's my take on how this move can be viewed as an opportunity for Mr Tan, for the government, and for all of us to reframe our views of politics in Singapore. First, Cabinet should be seen as a flow-through position, not a one-way street. It's going to get tougher to persuade very capable, very successful career people to enter politics, and to take up a Cabinet post. The stakes are even higher if citizens all see becoming a Cabinet Minister as the acme of professional success. If we see things that way, then anyone who leaves Cabinet is viewed askance as a failure. This should no longer be the case. Instead, Cabinet should be viewed in flow-through terms. People get picked to become a minister. They try it for a term, or two. Some take to it. Those who don't leave, with little or no stigma. They go on to fulfilling careers elsewhere. In the last few years, a few ex-ministers have taken this path. Mr George Yeo moved from Foreign Minister to the private sector, joining a logistics company based in Hong Kong. Mr Raymond Lim left as Transport Minister, back to asset management. Mr Lui Tuck Yew who resigned as Transport Minister, was just appointed ambassador to Japan. There is life after Cabinet, abundant life. It's time Singaporeans stopped seeing an exit from Cabinet in cataclysmic terms. There are only about 15 ministries. Even with senior and second ministers, only about 20-something people are needed in Cabinet. The pace of change these days is supersonic. Two years ago, any minister who didn't understand Facebook or Twitter would be out of touch. Today, if you don't Snapchat, Insta, or Uber, you won't really understand the forces of change transforming our society. Alexa and Echo are creating waves overseas and will be on our shores soon. Before we know it, AI-empowered robots will be ubiquitous in homes, and we'll realise Pepper was nothing. I can't even imagine what the world will be like in 10 years. In this disrupted world of rapid change, Singapore needs a more fluid system of political leadership. It's better for people to go into and out of Cabinet, then to be stuck with Cabinet ministers appointed in their 40s who then stay there for the next two to three decades. In Singapore, we often talk these days of entrepreneurship, of not being afraid to fail, of moving away from a narrow definition of success. In the same way, we need to broaden our conception of what makes for political success. Making it to Cabinet is the equivalent of scoring straight As, and getting into an Ivy League university. But it's not the only kind of success we should recognise as a society. When Singapore's political history is written, would a normal Cabinet minister get even one mention, or opposition leaders J.B. Jeyaretnam and Chiam See Tong, for their long, brave sojourns as solo opposition MPs in Parliament for years? Or Mr Low Thia Khiang, for leading a team to a breakthrough win in a Group Representative Constituency? 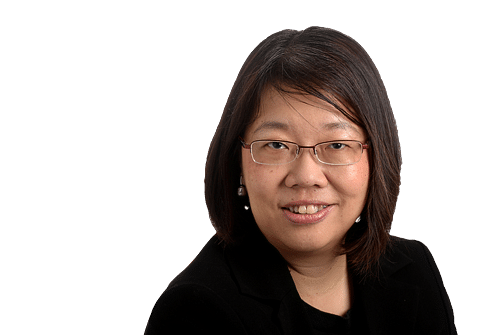 And perhaps one day Former Nominated MP Siew Kum Hong will be feted for his far-sighted attempt to repeal Section 377A that criminalises homosexual acts. Success comes in a myriad of forms. Also, change is constant in politics, as in life. The truism holds fast here: when one door closes, another opens. For Mr Tan, the door of the House is now wide open. As Speaker, his role is procedural and highly circumscribed. It is devoid of executive power. In the House, he has authority. Outside it, he lacks authority, but can have lots of influence. Authority works in a command and control structure. You're the minister, you give an order, those down the line follows. The real world is messier. You want something done, you use your influence, your people skills. This is where Mr Tan can make a difference. Already, protocol-wise, moving from minister to Speaker is an upgrade, as he ranks just after the President, Prime Minister and Deputy Prime Ministers, and the Chief Justice. He can also do more to exend the influence of the role. As Speaker, Mr Tan has authority over who gets to speak in Parliament, for how long, and when. That influence can be parlayed into a force for good. Having watched parliamentary proceedings quite closely for over 20 years, I've seen how a Speaker can set the tone for the House. Mr Tan Soo Khoon was firm but studiedly fair, even going out of his way to give minority voices a chance to be heard. Mr Tan Chuan-Jin is reportedly "sincere " and "really cares" - words often used by those who have dealt with him. If he has a true heart for the marginalised and a true conviction to be inclusive, there is a lot he can do as Speaker, to shepherd the tone of debate in the House along those lines. Being impartial and giving equal weight to front and backbench speeches, and ensuring that the opposition gets heard, will also set the tone for respectful, fair, political debate, no matter how heated. His influence will go far beyond Parliament. Parliamentary debates are widely watched by citizens, especially when edited into bite-sized video clips shared on social media. Video clips of the Speaker making time for the social or political underdog in Parliament will create waves of positivity across the nation. Mr Tan Chuan-Jin himself will continue to have influence, via his networks, friendships, and access. For he won't just be Speaker of Parliament. He continues to head SG Cares, a national movement which encourages Singaporeans to volunteer. He will be appointed adviser to the National Council of Social Service (NCSS). PM Lee said Mr Tan has taken "a deep interest in social issues, and in helping the needy and disadvantaged". He should continue to be an active advocate in these areas, using his influence, his networks and his passion to help advance their causes. He can be Speaker-Plus-Social Advocate. Moving Mr Tan from Cabinet minister to Speaker, in my view, does not put him out of the core of the fourth-generation of new leaders. On the contrary, it presents an opportunity for us all to redefine the kind of political leadership we need to take Singapore forward, into one where we stop seeing the Cabinet as the political acme and core of public life. The Cabinet will always be powerful by virtue of their authority over executive decisions. But other centres of political power and influence must develop. For example, an influential Speaker who can act as a check on the front bench by making time for parliamentary debates on difficult issues, and ensuring that ministers answer MPs' probing questions on difficult issues, and chiding them when they are evasive. Outside the House, having an influential former minister engaging with the ministries he used to head, but this time on behalf of activists and non-profits, can invigorate policies. This requires ministers and civil servants to embrace his contributions, not stonewall them. Personally, I think continuing to have a rigid understanding of power politics overly-centred on a few Cabinet ministers will constrain us from progress, for citizens will then always look to a top-down state to do things. Instead, a society deep in disruption, in a fast-moving world, needs a more fluid understanding of true political leadership, full of people who can move in and out of power positions, into networks where they may not have authority but heaps of influence. Where things are done not by fiat, but through persuasion and influence, bound together by conviction and passion. Increasingly, we need people who can work collaboratively across boundaries - of organisations, of political parties, of sectors. Thinking in ministry silos and putting Cabinet positions on a pedestal over other leadership positions is just so last millennium.